The final World Karate Federation (WKF) Karate 1-Series A event of the season came to an end in Shanghai today, with many medallists from last month’s World Championships in Madrid reaching the podium once again. 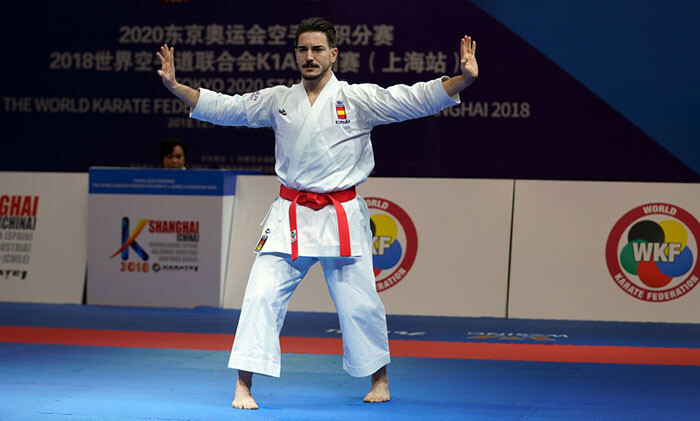 Perhaps the standout performance from the Gymnasium of Shanghai University came from Spain’s Sandra Sanchez, who claimed her 37th consecutive medal spanning four years, with gold in the women’s kata contest. The World champion beat Italy’s Viviana Bottaro 4-1 in the final, while Emiri Iwanoto from Japan and Grace Lau Mo Sheung from Hong Kong each took bronze medals. Spain largely dominated the kata events, also taking women’s team and men’s individual gold. Marta Vega Letamendi, Lidia Rodriguez Encabo and Raquel Roy Rubio came together to win the team gold medal by beating China in their final. Darmian Quintero went one better than his silver medal at the World Championships to beat Indonesia’s Ahmad Zigi Zaresta in the men’s final. The final score in that contest read 5-0, Quintero winning by unanimous decision to claim his third gold medal of the season. Also backing up strong performances from Madrid were Eleni Chatziliadou from Greece, Jonathan Horne from Germany and Iran’s Zabiollah Poorshab. The Greek world champion claimed another gold in the women’s kumite over-68 kilograms division with a 3-1 win over local hopeful Mengmeng Gao. Horne continued his own winning streak with a 2-1 victory over Tyron Lardy from The Netherlands in the men’s kumite over-84kg class. Poorshab, a team kumite champion from Madrid, won the gold medal in the men’s kumite under-84kg class with a 2-0 victory over Kazakhstan’s Igor Chikhmarev. This year’s grand winners also wrapped up their seasons with gold medals. Stanislav Horuna from Ukraine dominated the men’s kumite under-75kg competition after beating Croatia’s Enes Garibovic 4-0 in the final, while fellow team-mate Anzhelika Terliuga won gold in the women’s under 55kg division with a 4-0 victory over Japan’s Fumika Ishiai in her final. The host country also had something to celebrate as local karateka Li Gong beat Egypt’s Feryal Abdelaziz in the women’s kumite under-68kg final 4-0. 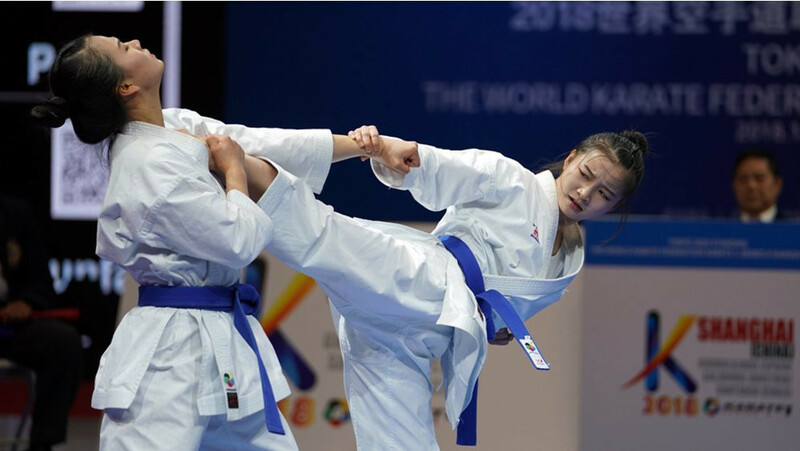 Turkey’s Gülsen Demirtürk won women’s kumite under-50kg gold, Canada’s Haya Jumaa took the women’s under-61kg final and Egypt’s Aly Ismail claimed the men’s kumite under-67kg final. The team kumite title went to Kuwait.